Felt Play Food: Dum-Dum Suckers & Lollipops! Once my little one discovered Dum-Dum suckers, there was no going back. This felt play food craft is dedicated to her and her favorite treat. Print out the circular sucker pattern. 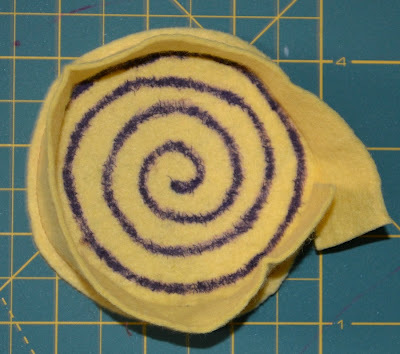 Use this pattern to cut one felt circle for each color of sucker. Take the pre-cut dowel rods and swirl washi tape around the dowel rod to create a colorful sucker stick. Lay aside. Using the hand sewing needle, do a running stitch close to the edge of the circle all the way around the perimeter. Be sure to knot the thread on both ends. 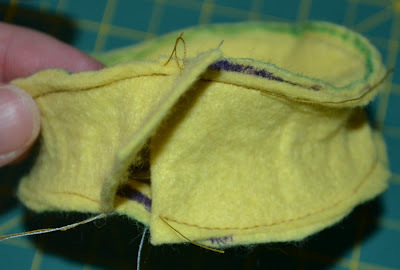 Pull the two ends of the thread together to draw up the felt. It should begin to make a circular shape. Once the circle is almost closed, stop and stuff with fiberfill. Hold the felt circle tightly in one hand. Place a large amount of hot glue on one end of the washi covered dowel rod. Let it seep down the sides about 1/2″. 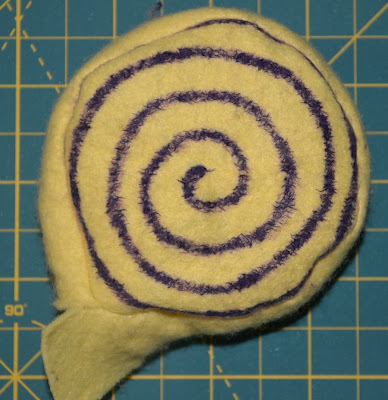 Place the dowel rod into the felt circle opening. Make sure the dowel rod goes into the felt circle as far as it can. 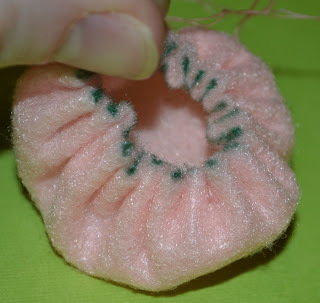 Quickly cinch the felt circle closed around the dowel rod and tie the thread ends in a knot. Clip the thread ends close to the knot. Use hot glue to secure the base of the felt dum-dum to the stick. Apply Mod Podge to the felt dum-dum and to the washi tape. The Mod Podge secure the washi tape, and it hardens the felt. 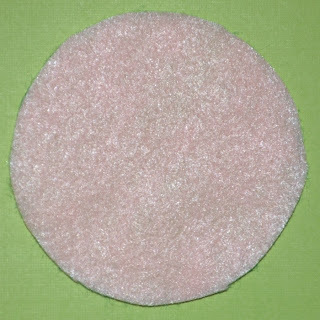 I used Three Dimensional Magic Mod Podge on the felt dum-dum to add a light glitter effect. 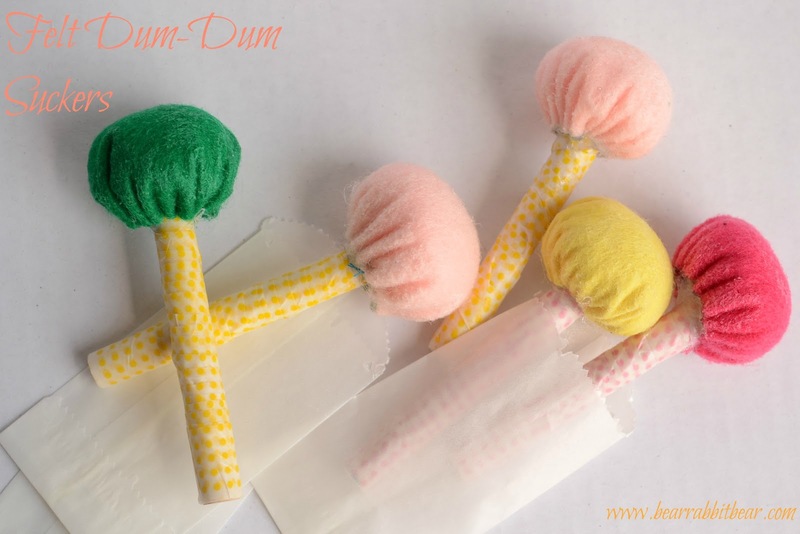 Let dry, then let your kids and their “friends” each have a dum-dum even the dentist would approve! Begin by covering the dowel rod with washi tape. Set aside. Print the sucker circular pattern. Cut two pieces of felt from this pattern. Using the fabric marker, draw a circular pattern around the outside of BOTH of the lollipop pieces. 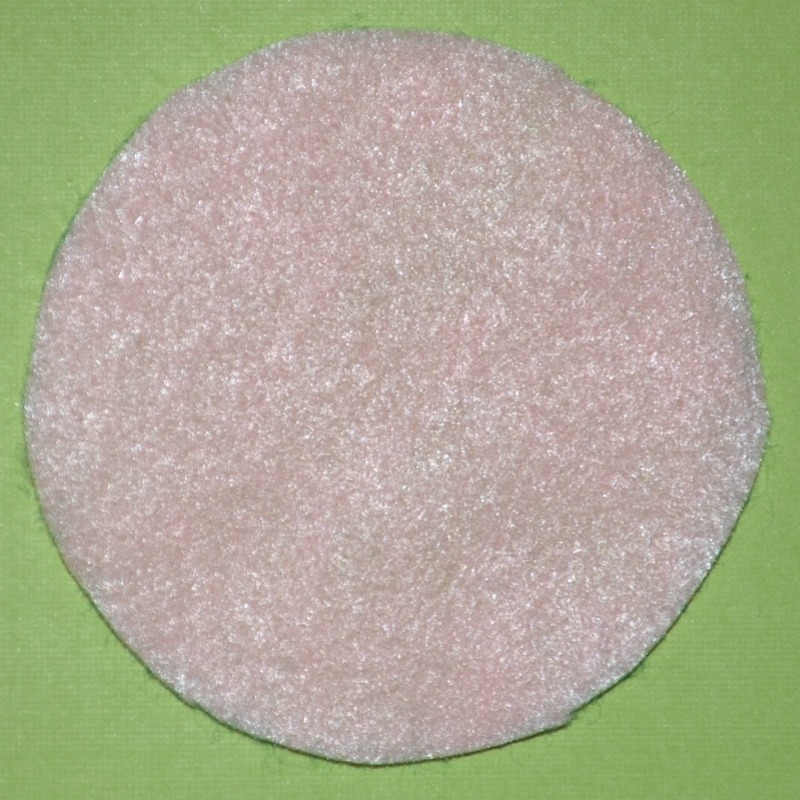 Now cut a piece of felt that is 11″ by 1″. Take one of the long ends and pin it around one of the circle lollipop pieces, right sides together. Sew close to the edge. Take the other circle lollipop piece and do the same. DO NOT close the opening where the long piece meets- this is for turning. Turn the lollipop right side out. Stuff with Fiberfill. Place a large drop of hot glue on one end of the dowel rod. Insert it into the lollipop opening as far as it will go. 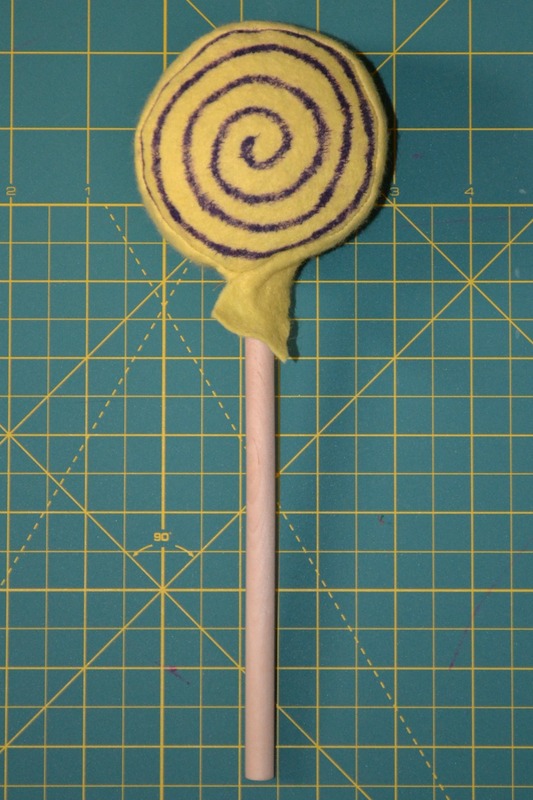 To close the lollipop, take the little “tail” that should still be remaining of the middle felt portion. Wrap it around the dowel rod close to the lollipop base and glue in place. Apply Mod Podge to the felt lollipop and to the washi tape. The Mod Podge secure the washi tape, and it hardens the felt. 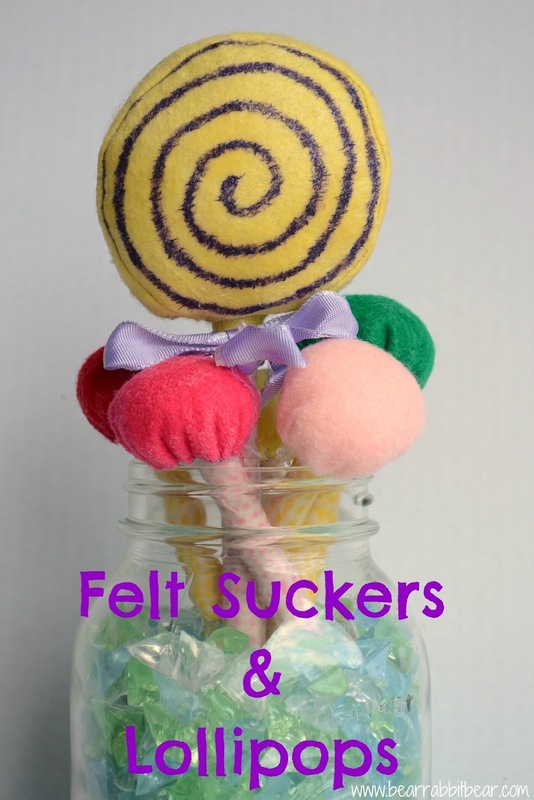 I used Three Dimensional Magic Mod Podge on the felt lollipop to add a light glitter effect. Let dry and make more! Very cute and with great instructions. I love dum dums too;). This is such a cute idea. I would love for you to come link up your tutorial at my Pin Party. Como gosto de viajar pela net. what a cute idea to create for a pretend play candy shop or as a party favor. thanks for linking them up to tip-toe thru tuesday! Love this! Thanks for linking up. I’ll be pinning this and sharing the pin on Facebook at OneCreativeMommydotcom. Feel free to stop by OneCreativeMommy.com and grab a featured button.